From 2009-2014 there were few terrifying midfielders as deadly to other opponents and frustrating to opposing supporters as Ozzie Alonso of the Seattle Sounders. Not only did he deliver crunching tackles into attackers but he also pulled away a fair number of them with the ball going the other way. 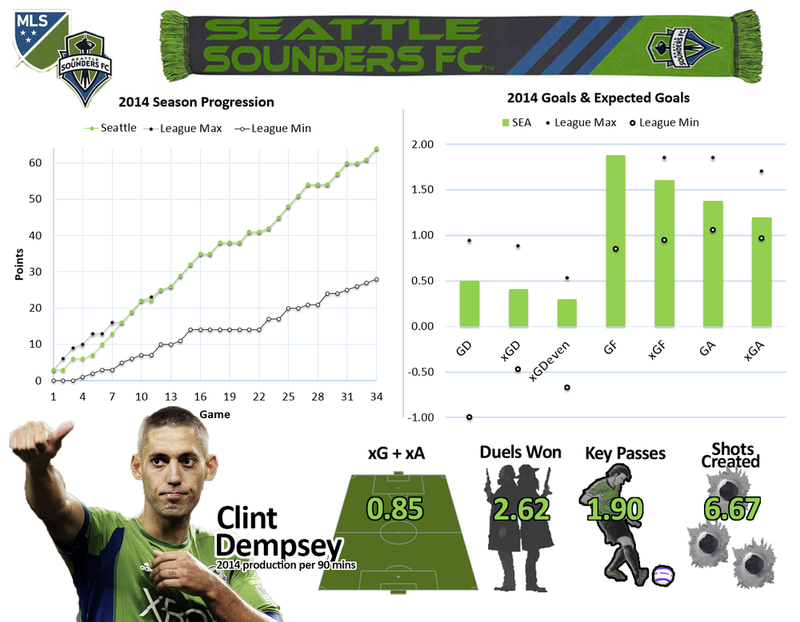 To Seattle, and what they aim to accomplish, he’s been a vital cog. The last two years have started to point towards a declining if only in terms of the statistics in which he had previously tended to collect. Coupled with that decline of numbers was a rise in fouls committed. These rise in fouls could be attributed to the referees calling him tighter with his noted reputation to be rough and tumble. The other explanation could be him losing a step and becoming slower creating an increase of rash decisions. This is something that we’ve seen with Kyle Beckerman and to a lesser extent Rico Clark. More on MLS's one-man wrecking ball after the jump.